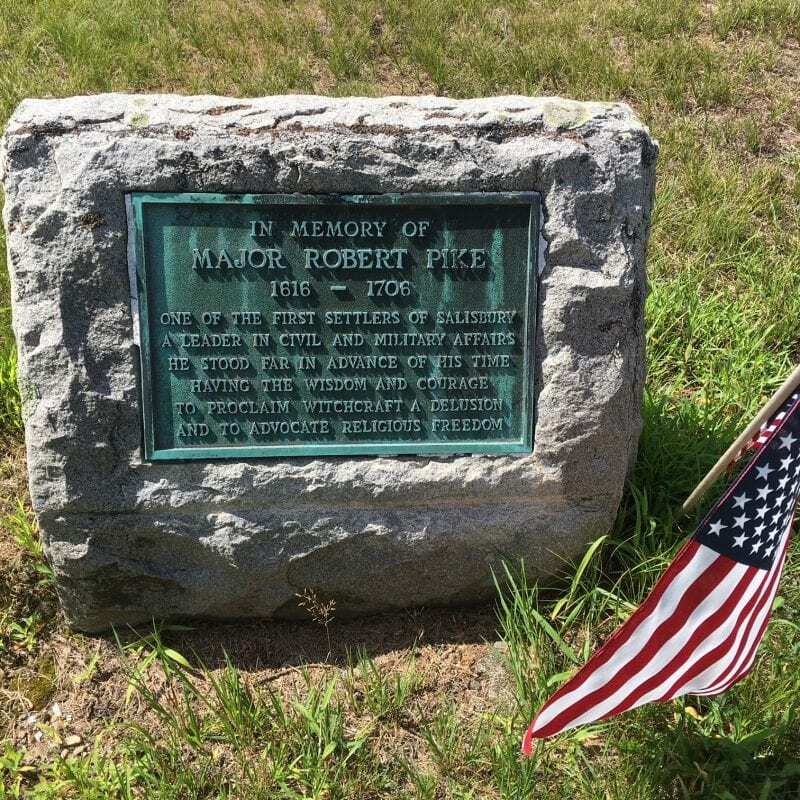 Established in 1639, the Colonial Burying Ground contains the grave of Major Robert Pike, one of the prominent voices in the Massachusetts Bay colony. Major Pike was a militia leader, an important Salisbury judge, and a member of the General Court, representing Salisbury for 37 years. At the time of the 1692 witchcraft trials, Pike was 76 years old. 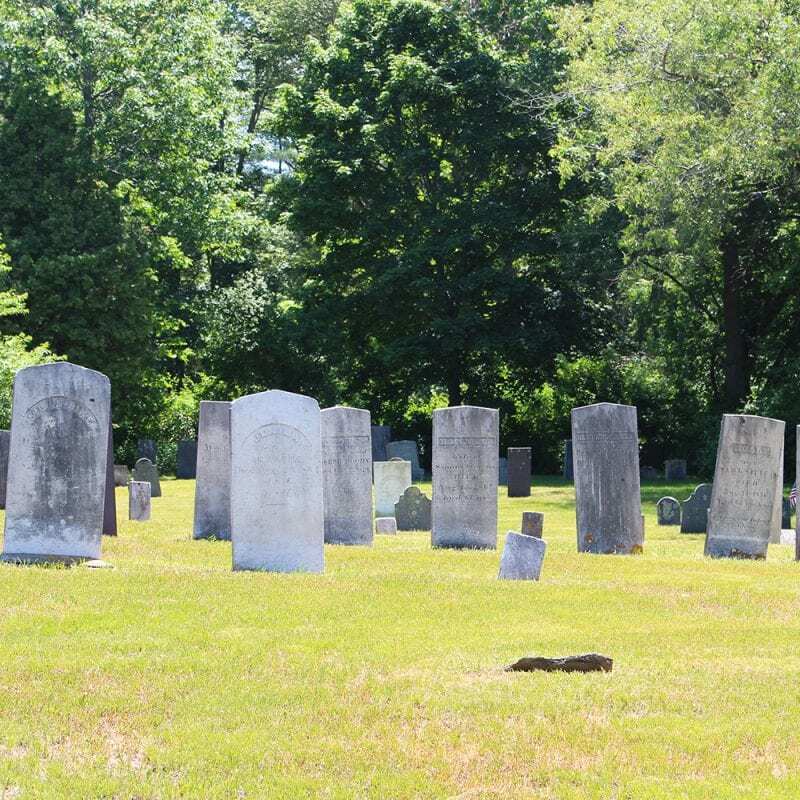 On June 29, in Salem Town, Pike recorded many of the depositions in Susannah Martin’s trial. 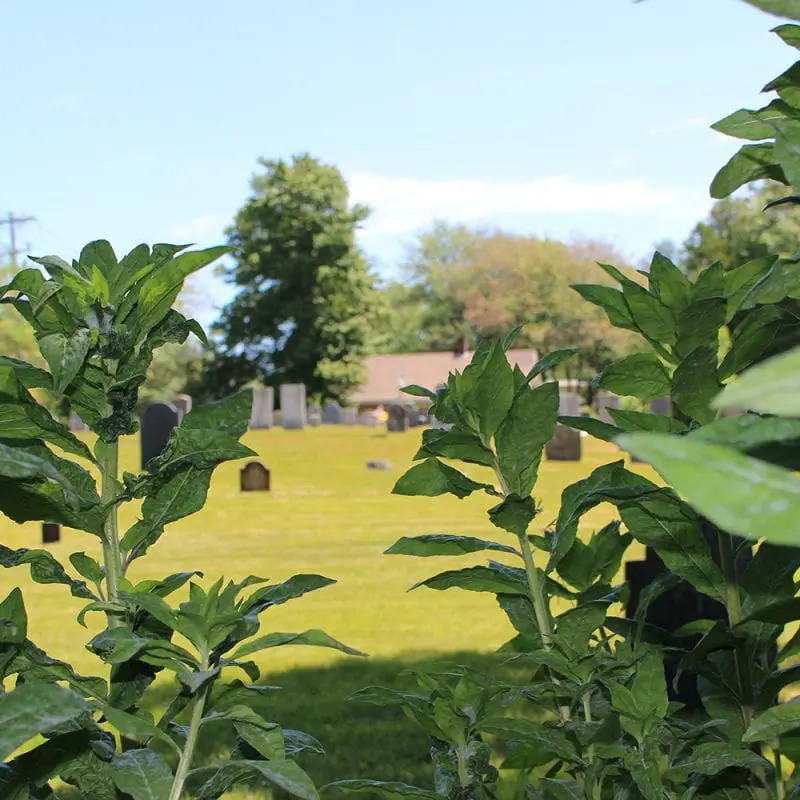 In response to the numerous charges of spectral evidence leveled against her by her neighbors, Martin denied that she had ever used witchcraft. On August 8, just weeks after Martin and four others were hanged on Proctor’s Ledge at Gallows Hill, Pike wrote a letter and accompanying essay to Judge Jonathan Corwin, eloquently arguing that basing convictions solely on “spectral evidence” was a mistake. Pike thought spectral evidence was unreliable and put innocent persons’ lives in danger. The accusers could be deluded or, he argued, the devil could disguise himself as an innocent person. Why, asked Pike, would anyone plead innocent if confessing would save their life? Why would the devil accuse his own witches? “The Devil is accuser and witness,” said Pike, becoming one of the most important skeptics of the entire legal process. His well-reasoned arguments would influence others in the coming months. 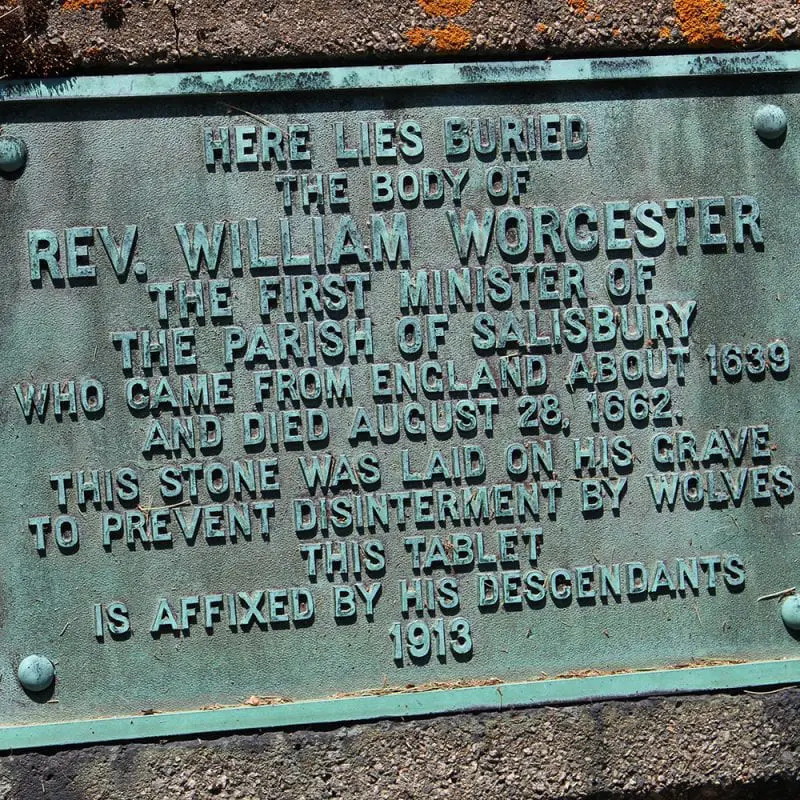 Robert Pike was also one of 115 people who signed a petition in defense of his friend of 50 years, the wealthy and eminent Salisbury resident Mary Bradbury, accused of witchcraft in May of 1692. Months later, at an October council meeting in Boston, Pike continued his outspoken criticism of the proceedings. Robert Pike died in 1706 at the age of 90. 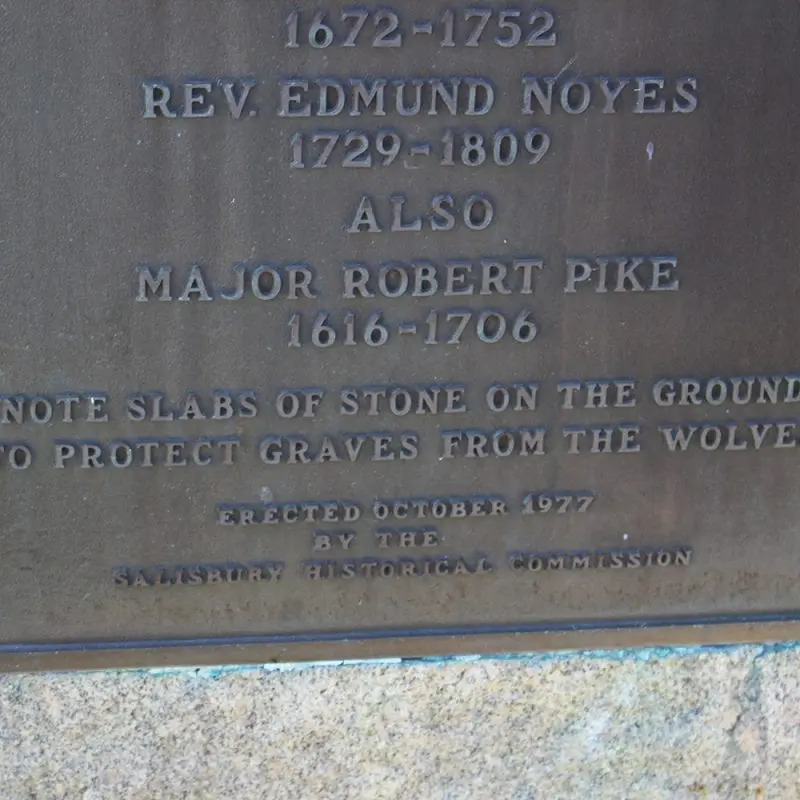 Additional note: Several of the graves in the Colonial Burying Ground have rare wolf stones, granite slabs that were laid over graves to prevent wolves from digging up the bodies. 24 Beach Road (corner of Beach and Ferry Roads), on Route 1A, two-tenths of a mile east of the intersection with Route 110.